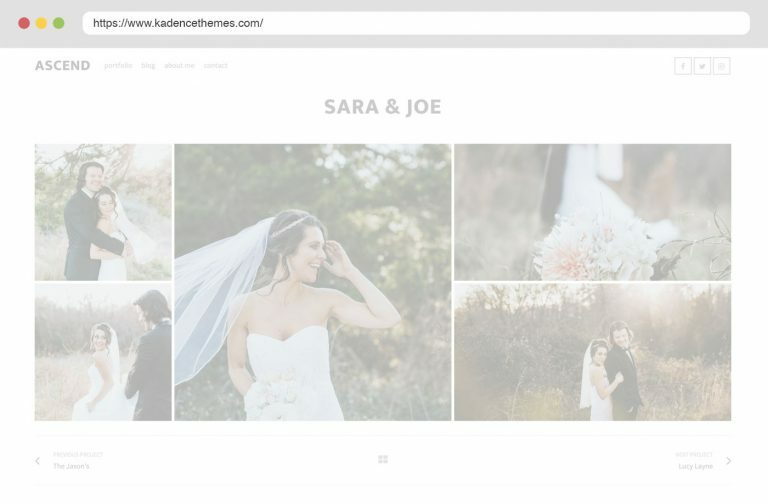 An elegant way to add animation transitions to site navigation, create a feeling of flow from page to page. The Kadence Page Transitions plugin adds animation to fade away a page, then while the next page is loading show a loader spinner, then animate in the next page when it’s ready. 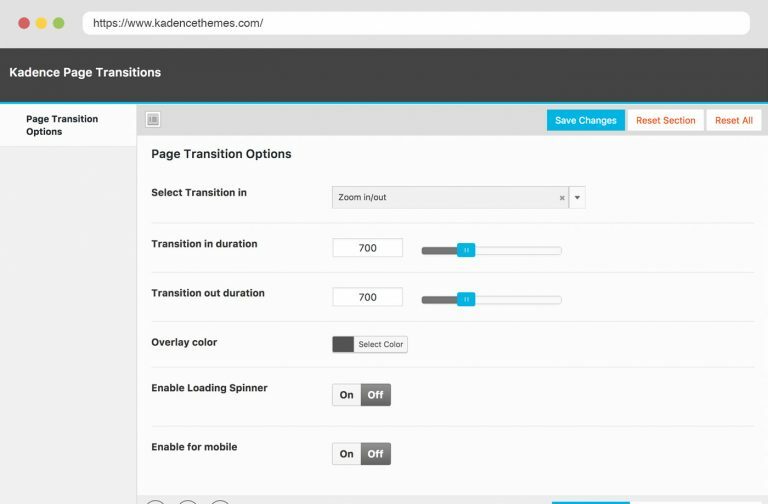 Pick between four preset transition options then customize your speed, the background and choose whether or not to show a loading spinner.